Skruf is tobacco brand from Sweden and their order was one of Food Truck Company’s first projects. Skruf was looking for ways to activate their brand on events and festivals. Legislation about the promotion of tobacco however is very strict in Sweden, so we had to be creative. 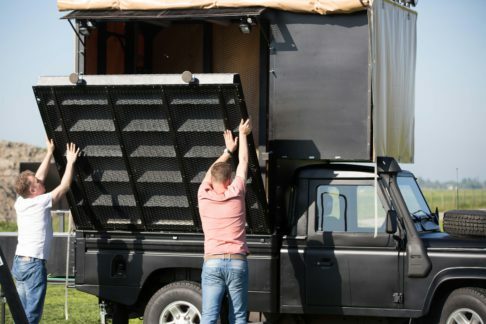 The solution was found in a fully rebuilt Landrover Defender that was a unique eye catcher thanks to its exceptional height and ‘DJ booth on top’. 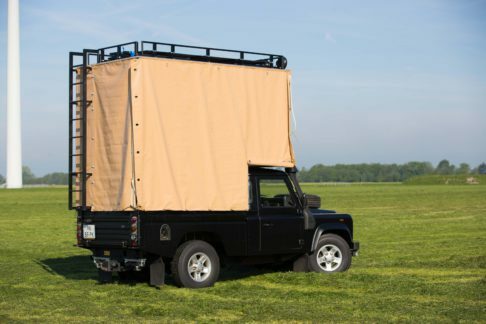 The Landrover itself was decorated as a game station and could be used as charging station for smartphones. From out of the integrated coolers with glass doors the Snus (tobacco in a moist powdered form) was stylishly presented.